Roundup which is a weed/grass killer that is used by gardeners, home owners, farmers and landscapers which was marked as a non toxic and safe product. Now apparent the parent company Monsanto withheld important information on linking evidence between Lymphoma and Roundup and other types of cancer. With this being done many lawyers have started to pursue Monsanto and Roundup in a class action lawsuit with plaintiffs that have been diagnosed with cancer after regular and consistent exposure to Roundup. In 2016 the JPML (Judicial Panel Multidistrict Litigation) consolidated the pretrial proceedings for all of the Roundup cancer lawsuits that were filed for all of the federal court system. Bellwether cases hare already started and with that it will set the likely hood of all upcoming cases of the Roundup and Monsanto class action lawsuit settlements. With this bellwether cases will not be binding to any other lawsuits but they will be useful and help others know what the settlements are for others with similar lawsuits. 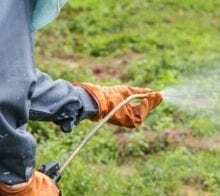 Not too long ago a jury in San Francisco told the company of Monsanto that they were to pay $289,000,000 for damages to a grounds keeper at a school who got cancer after many years of using the Roundup product. In that verdict the jury found that the parent company of Roundup, Monsanto intentionally kept information from the public about the harmful ingredient that was in Roundup, glyphosate. The $39,000,000 that was awarded to Johnson (the grounds keeper) was for his medical bills. The additional 250,000,000.00 was for his non economic damages! Additionally to many lawsuit damages, there is a possibility that the plaintiff would be able to recover non economic damages. Non economic damages do not have an exact monetary value, such as how much a person would have lost by no longer working. These are the types of damages that are awarded for the suffering and the personal loss of the victim. This can include any disabilities the victim has suffered, physical or emotional trauma, lost enjoyment and including the quality of life/physical pain and suffering. So if you need a lawyer then you need to seek out legal advise but if you need a cash advance then we can help. With that Verum Funding wants to help you if you need an early Roundup class action lawsuit payout. Our cash advance can help you with money that you need now. Please contact us by calling 434-535-5229 or filling out a submission form on the right side of the page. We can help you get the pre-settlement funding on your Roundup class action lawsuit payout today!